Thirsty!?! Right here in Colorado we have some of Americas Top Breweries in our very own Mountainous Backyard. When Exploring the list of Breweries we put together for you, we thought it would be nice to educate you on some of the common Abbreviations used when describing your beer of choice! OG~ (Original Gravity) is a measure of the fermentable and un-fermentable substances in the wort before fermentation– High–gravity” refers to brewing a beer with high original gravity OG-typically, above 1.075 is considered high. ABV~ (Alcohol By Volume) and is usually listed as a percentage. By law ABV is required to be listed to give you an idea of how much alcohol is in each brew. SRM~ refers to a system used to specify beer color intensity. The lower the number the lighter the beer color. IBU~ (International Bitterness Units) measures the bitterness from hops in a beer on a scale of 0 to 100. Very hoppy beers, like imperial IPAs, can reach 80 BU. Though IBUs can help you better understand what type of beer you like in terms of bitterness, it’s important to note that the bitterness of beer is also affected by malts. Beer with a high IBU, like stouts, might not taste very bitter at all because of their sweet malts. Instead of relying on IBU to perceive the bitterness of a beer, use it to gauge your preferences. Have fun taking it all in and let us know what you think! We would love to hear your reviews. Feel free to take some pics and tag us. We love the shout outs and seeing our followers having a good time. 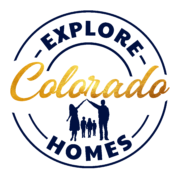 Keep on Exploring Colorado and if you know anyone who is interested in buying or selling we would love to talk Real Estate with them! Nano 108~ This was the perfect find for our Friday night date! We love to Explore those small hole in the wall places. The Bartender was friendly and was the one who educated us on all the Common Abbreviations! We felt smarter with every sip. Although they don’t have an inside menu they always have a food truck available! Ph. 719-596-2337 2402 Waynoka Rd. Cogstone Brewing Company~ 3858 Village 7 Rd. Red Leg Brewing Company~ 4630 Forge Rd. Brass Brewing Co.~ 318 E Colorado Ave.